The rain gods took a brief intermission during my Virginia vacation to allow me to visit the Edith J. Carrier Arboretum at James Madison University. 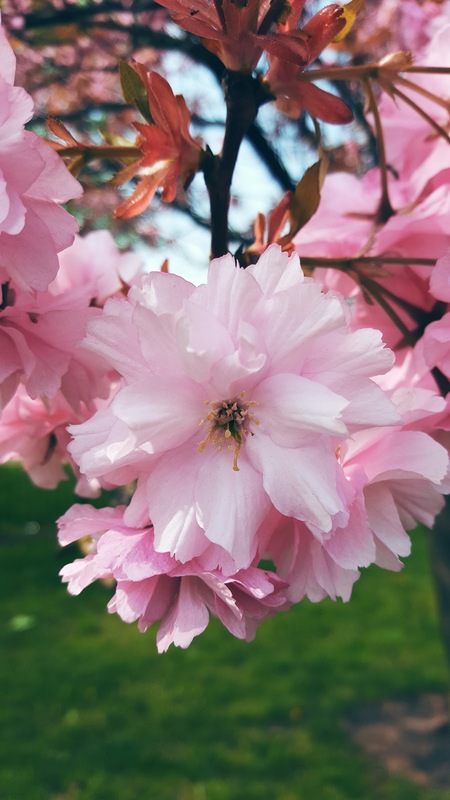 I didn't get to explore the full 125 acres because of muddy trails, but I did spend lots of time chasing bees around the azalea and rhododendron gardens. 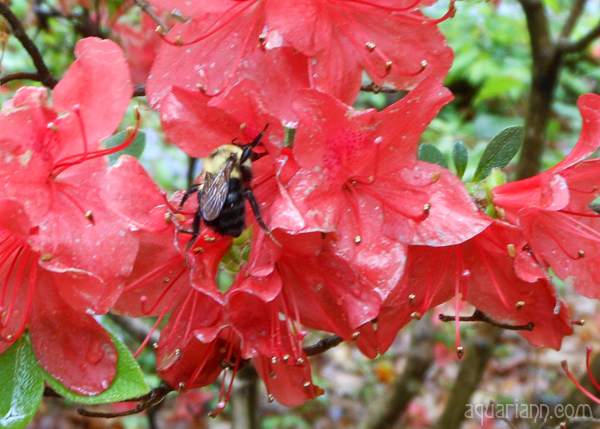 The above bumble bee stayed still the longest while enjoying a red azalea. 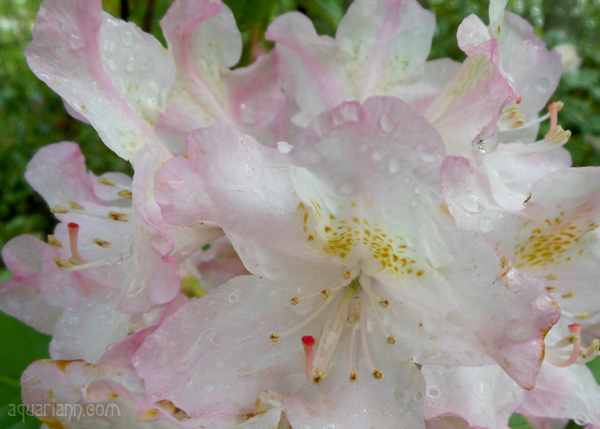 The bee that was buzzing around the pink rhododendron below was too blurry in my other shots and missed his chance at fame. I love this color! Beautiful! Hope you had a great vacation. I know it was rainy here a lot last week. Beautiful photo! Busy bee and flowers, lovely combination. 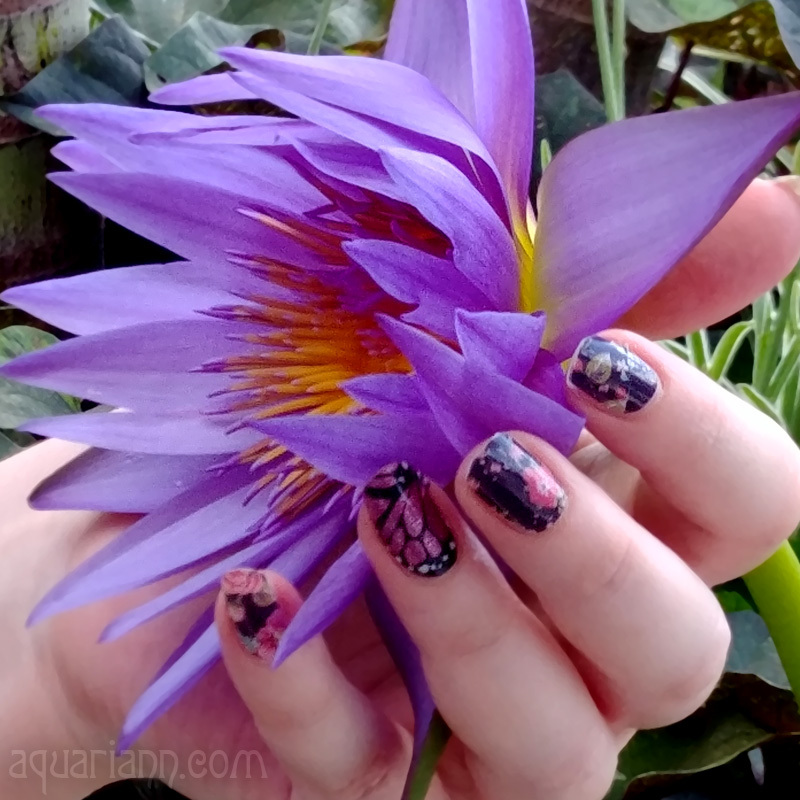 I don't see how you find such gorgeous flowers every week! Very pretty flowers.I like pink one most. the red one is so gorgeous..
How lovely!! My rhododendron just bloomed too and it's so pretty! I missed this week due to being sick after being bit by my cat and the antibiotic made me deathly ill. But I wanted to thank you for stopping by to share on #OMHGWW. Hope you have a great week, see you soon!